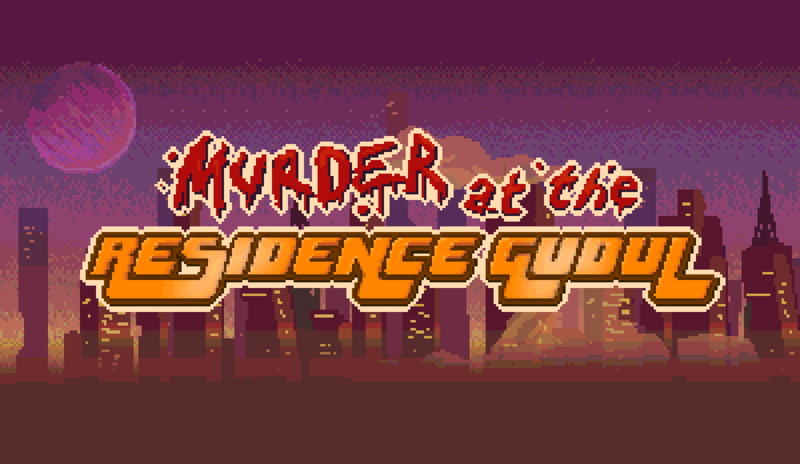 I love oldschool adventure games. A really funny game. We enjoyed it very much. The graphics style is just great. Cool votre jeu ! Le jeu est un peu trop simple mais l'univers est marrant, les sprites sont super classe, franchement bien joué ! Spécial dédicace au chien dans l'appart des chiens extraterrestres ! Love the art, really cute. Maybe I'll buy it. Don't you think about putting this game on Steam? Enjoyed playing this game. Did a video for it on my YouTube Channel. What a great game! Liked the punchline too. Great point'n'click! Incredible that this has been done just 48h... with your own game maker tool. It's really awesome! Great job! A game dosed with good humor, interesting characters, nice atmosphere and DISTRIIITUUUBE. Also murder, but who cares? It was short, funny, and interesting. I loved how the main character Dowie could care less about who murdered the janitor, he just wants his distritube fixed. His personality along with the character designs of the npcs is what drew me into this game. WOW, that was awsome :D.
I really liked this, though it was a bit too short, even for a game like this. Hope you guys expand on this at some point. Very tight little point and click, loving the art style and animations. Liking your humour as well- including what I think was a Frontier Psychiatrist reference? Either way a great little game. Well done, Sparklin. I'd definitely pay a couple of bucks to play something like this as a full product. I will be on the lookout for more of your stuff! Nice job guys, great atmosphere and great design ! Also the dialogs are funs ! A very interesting take on a murder mystery. I'm sooo glad I found out what killed the Distritube! A nice mystery game with fun characters and a cool atmosphere! If you like games with their own unique personality, it's definitely worth playing.